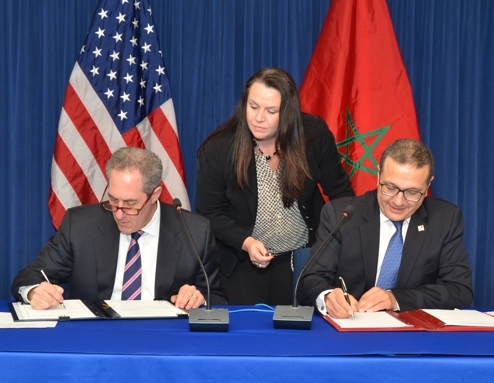 Last week saw an extraordinary uptick in the visibility of the US-Morocco relationship. King Mohammed VI met with President Obama on Friday, and the Moroccan delegation that arrived earlier in the week had a full agenda of meetings and events that underscored the dynamism and momentum of the two countries’ strategic partnership. The text is different from many communiqués that are replete with platitudes and diplomatic niceties. It spelled out specific programs, initiatives, and understandings that have given new life to the Morocco-US Strategic Dialogue and partnership. It is this grounding that is the platform for America’s longest official diplomatic relationship and represents a beneficial alliance that has weathered the stress of recent upheavals in the region. Although much continues to be written about the political (Western Sahara), security (counterterrorism), and diplomatic (Middle East Peace) references in the statement, I want to look instead at other sections that are at the core of our long-term shared interests. It is the details of these elements that spell out the engagement and support of the US for the reforms and advances critical to Morocco’s leadership role in the region.